Two’s Company organically designed this just for you. It is plain and clear: Farm-to-Table Organic Artichoke Candle Tied. FixturesCloseUp interest was originally the twine-tied merchandising, closely followed by organic origins, and finally the fit with an ongoing Candle outfitting thread. So at first glance you might not see the reason for inclusion on this site. But follow the links below and all will become perfectly clear. 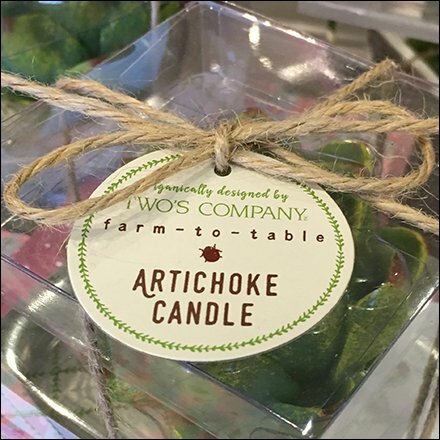 This Farm-to-Table Organic Artichoke Candle Tied seen at Macy’s.